Separation anxiety is one of the most common issues we see in dogs and it is one that will rarely solve itself. As pack animals by nature, when a member of the pack goes “missing” a dog feels extreme anxiety. In order to cope with this anxiety, a dog turns to often destructive or high-stress habits. 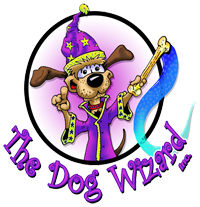 At Sarasota Dog Wizard, we have the skills and knowledge to help your dog gain the self-confidence to be alone and feel secure.